This 10-piece Duxtop cookware set is induction friendly and can also be used on electric, gas, ceramic and halogen stoves. With its whole-clad superior construction, excellent assortment of sizes and induction-safe design, the Duxtop Whole-Clad Tri-Ply Stainless Steel Induction Ready Premium Cookware 10-Pc Set is a high value purchase. Secura (the manufacturer of Secura and Duxtop brands) already boasts a great range of reliable cookware, making it easy to expand this set at a later date if you need extra sizes. This Duxtop induction ready cookware set has everything that you need to fry, sauté, braise, stew, reduce, roast and steam. All Duxtop cookware from Secura have solid manufacturing and excellent quality standards and long-lasting durability. 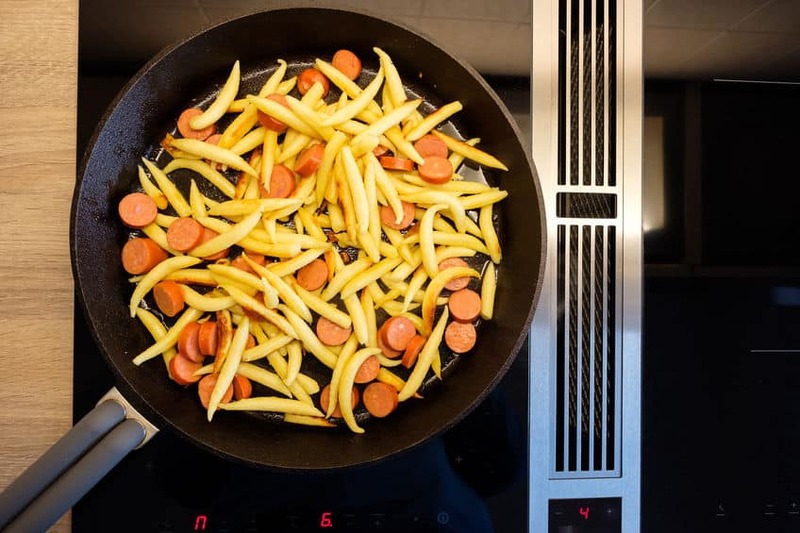 Some consumers have commented that the food sticks to the cookware. However, it is important to note the pans heat up quickly thus requiring little heat to cook. It would have been helpful to include a lid with the 10-inch fry pan. 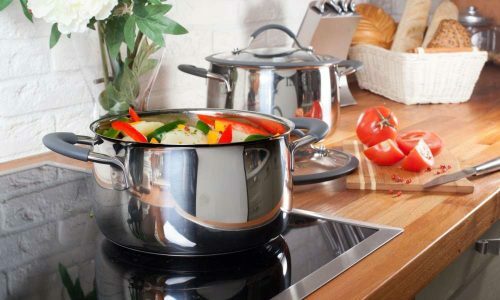 The tri-ply composition (one layer of aluminum sandwiched between two layers of stainless steel) of the Duxtop Whole-Clad Tri-Ply Stainless Steel Induction Ready Premium Cookware 10-Pc Set set extends through the base and sides of each pot and pan. Many of the less expensive sets only have tri-ply composition on the base. A magnetized stainless steel layer with an aluminum core and a stainless base grants even heat distribution all the way up the sides of the pot (inner layer is 18/10 and outside is 18/0). The superior bonding technology used in the construction of the pots and pan in this Duxtop 10-piece set provides better cookware performance and a far longer lifespan. The interior has a satin finish and the lids are stainless steel. 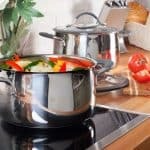 These stainless steel pots and pans are capable of handling extreme temperatures, and giving great heat retention and distribution over a prolonged period. This is mainly due to the aluminum core which is entirely encapsulated within the tri-ply base. Thanks to the high-quality stainless steel, each item can sustain temperatures of up to 550ºF, making them perfect for use in an oven. These pots and pans are also freezer and dishwasher safe and easily cleaned. Another great feature is the cool-grip handles which are riveted to the pan. They stay cool to the touch even after a long duration of cooking. Non-stick utensils and/or wooden utensils must be used. 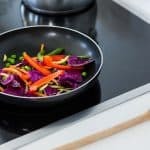 Buying a smaller set comes with the advantage of having the necessary pieces to cook with, yet being able to expand the collection later if needed. 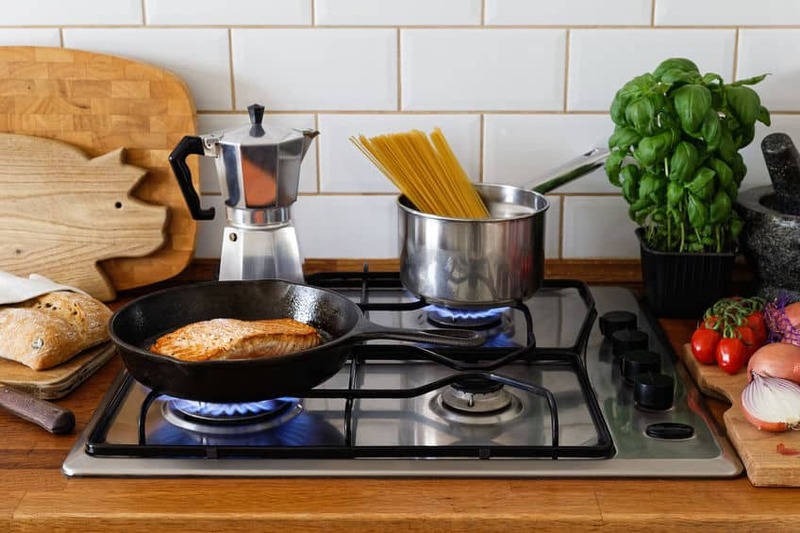 Secura supplies a comprehensive range of cookware separately from this 10-piece set, allowing you to keep the same style throughout your kitchen. Each item is backed by a limited lifetime warranty from manufacturer defects. Overall, this Duxtop Whole-Clad Stainless Steel Induction Cookware Set is a sturdy, reliable and affordable option for anyone who wants a set of pots and pans that will last. 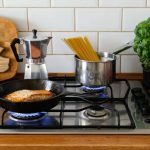 This cookware set can be used on conventional stoves or on your induction stove. The Cuisinart MCP-12N Multiclad Pro Stainless Steel 12-Piece Cookware Set is another option. It has a steamer insert and lid whereas this Duxtop 10 piece set does not. 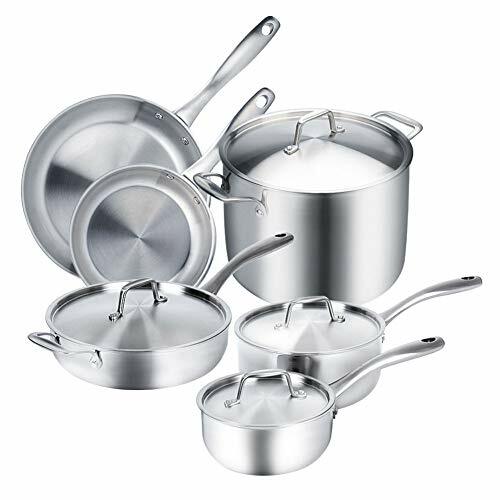 The three layers of stainless steel and aluminum core extend through the bottom and sidewalls on both cookware sets. We reviewed this induction ready Cuisinart set.